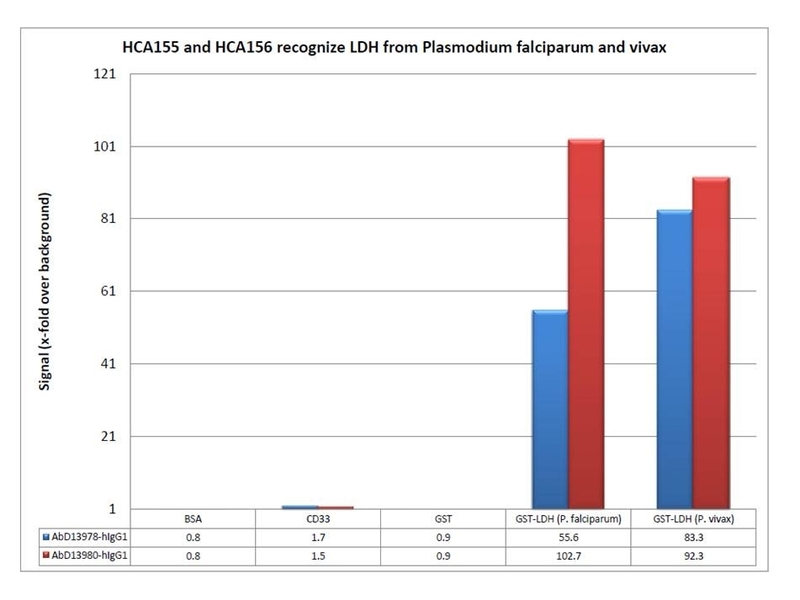 Human anti plasmodium vivax LDH, clone AbD13978 recognizes LDH (L-lactose dehydrogenase) from the Malaria causing protozoan species Plasmodium vivax. It was shown to cross-react with Plasmodium falciparum LDH. Clone AbD13978 was selected by phage display under heat stress conditions. The Tm value for thermal denaturation of the antibody was measured by CD spectroscopy and has been found to be 70 °C. Human IgG1 antibody (kappa light chain) selected from the HuCAL ® phage display library and expressed in a human cell line. Conjugated to horseradish peroxidase (HRP) - liquid. 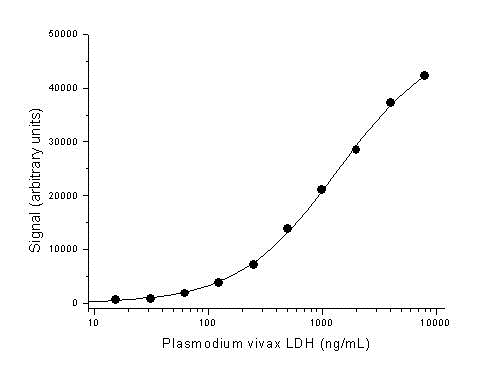 Recombinant LDH fusion protein from Plasmodium vivax.